Crypt Lurker willed themselves into existence during the early months of 2012, and have already established themselves as a formidable live act, playing shows alongside the likes of Iron Witch, Black Magician, Haar and Grimpen Mire and Dragged into Sunlight. Crypt Lurker unfetter their particular nihilistic brand of doom metal with influences from the hallowed halls of Black and Death. 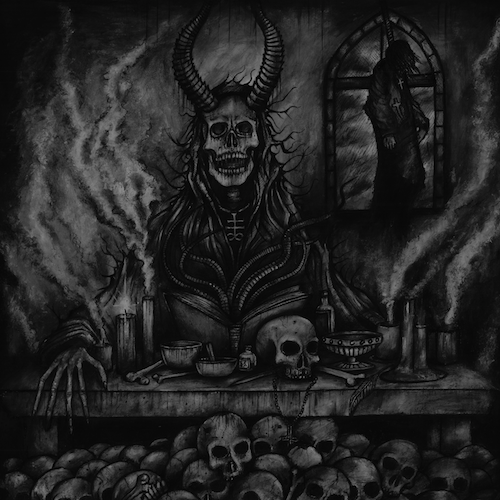 The band’s sound is best defined as a crawling, monstrous terror, narrated by spectral howls weaving tales of sorcery, death and the abyss from the dusty pages of archaic tomes. Vinyl limited to 300 copies on black wax with an insert. Digital download on every format a mere mortal could wish for included. CD in Jewel Case with booklet.